Sure Petcare products have been designed to help pets and owners. All of our products are battery powered (batteries not included), work with your pet's existing identification microchip and can store up to 32 pet identities. Choose your product below and then add your accessories (your full discount will show at the checkout). 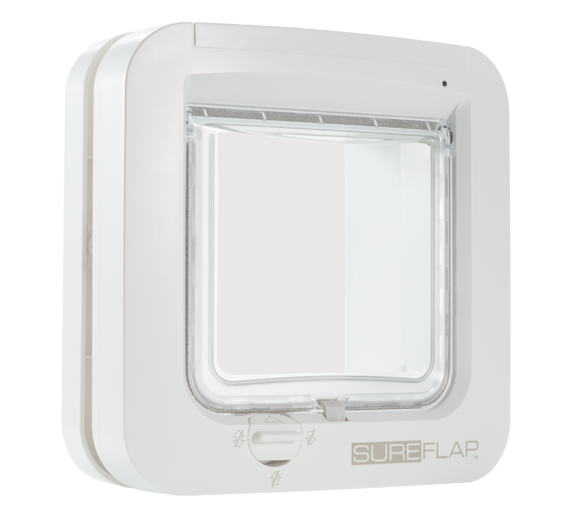 Keep out unwanted intruder animals and give your pet their own door key with a SureFlap Microchip Cat Flap. When your pet approaches the cat flap it scan and recognises their existing microchip number, only opening for them. 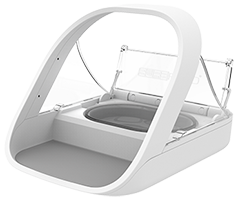 Designed for multi-pet homes to stop pets stealing each other's food, the SureFeed Microchip Pet Feeder recognises your pet's unique microchip number, opening only for them. As your pet approaches, the lid slides open to reveal their food, closing again automatically when your pet has finished eating. 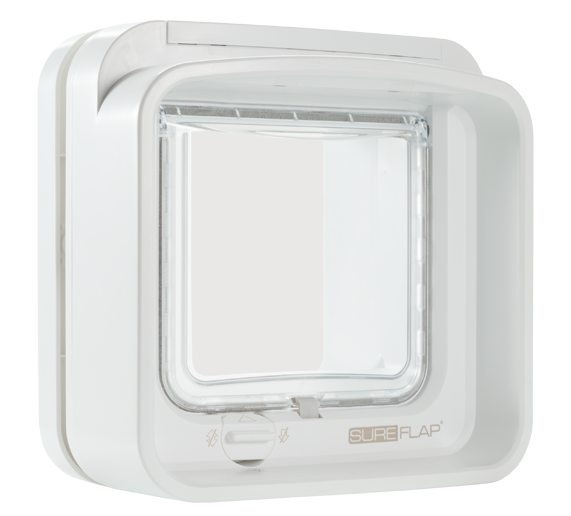 Ideal for multi-cat households, DualScan technology allows you to keep specific pets indoors whilst allowing your other pets to come and go as they please whilst preventing unwanted intruders from gaining access to your home. 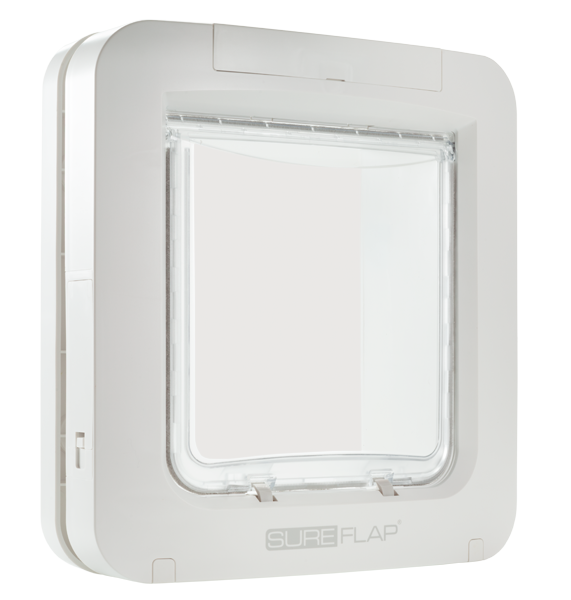 Designed for small dogs and large cats, the SureFlap Microchip Pet Door recognises your pet's unique microchip number or SureFlap RFID Collar Tag, unlocking only for them. It keeps intruder animals out of your home, which can be a major cause of stress and disruption for both you and your pet.